I know y'all it is not even February yet, but it is never too early to add a little flair for a fun Holiday, no? I think yes, always yes. Since I live in Mobile and we are in full Mardi Gras mode I should probably have some of that decor happening but honestly besides a wreath on my door I have no Mardi Gras flair to speak of, I know it is a sacrilege. There is always next year. So I have moved on to Valentine's Day and when I saw this adorable DIY I knew I had to make it. 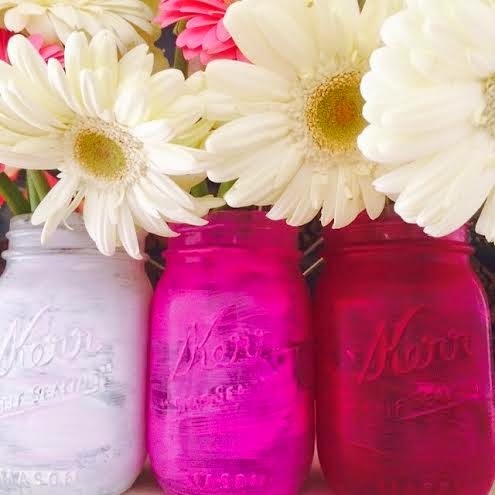 I went to Hobby Lobby and picked up 3 mason jars, acrylic paint, and a brush. I painted, let them dry, and added some pretty flowers. There are you have it! An adorable Valentine's Day display for my mantle! 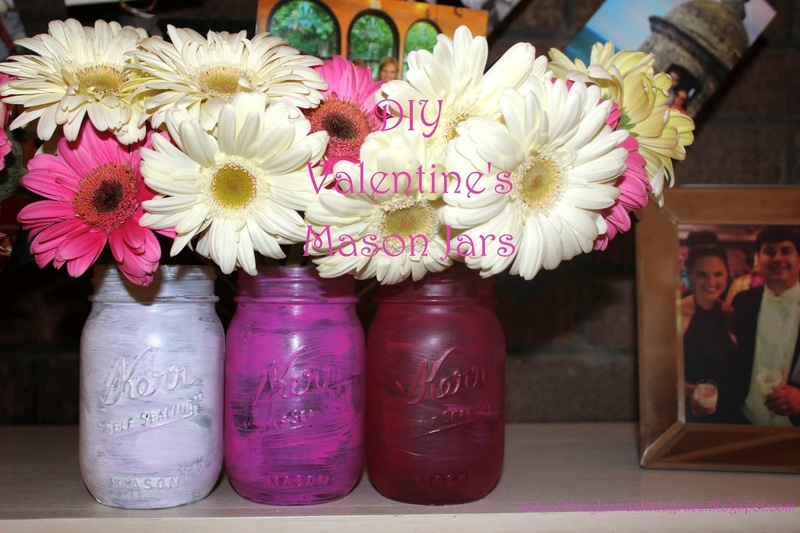 It was such a cheap and easy project and a fun way to add a little Valentine's into your home. 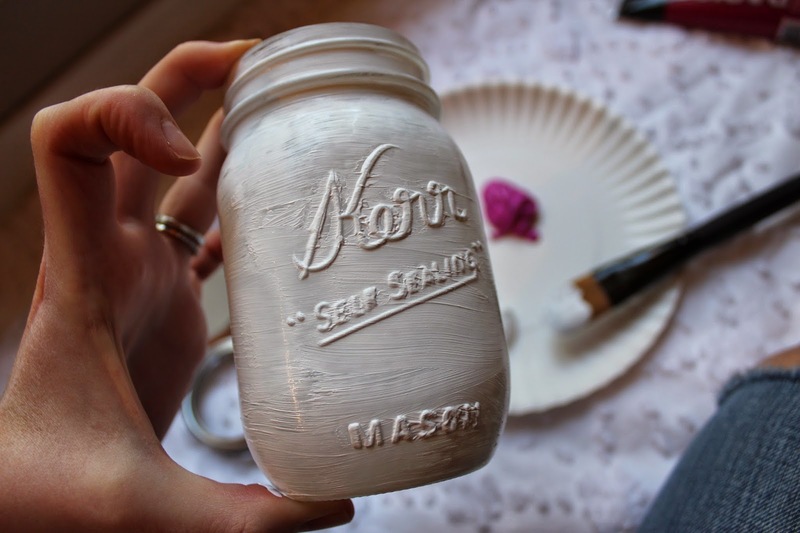 I love a good DIY so let me know if y'all like these kinds of posts!